To make drive selection simple, we've gathered all our popular WD Caviar, WD Caviar SE, and WD Caviar drives under one umbrella we call WD Caviar Blue. Built to Western Digital's awarding winning quality standards, these drives are available in a full range of performance features. 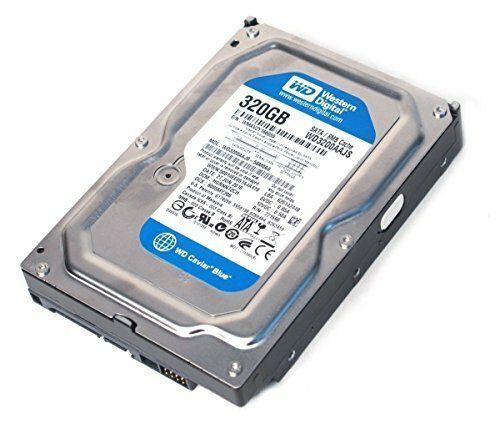 Offering capacities as large as 320 GB, the Western Digital high-performance family of Hard Drives is equipped with a sizeable 8 MB buffer for quick data delivery. WD Blue WD3200AAJS 320GB Desktop Hard Drive SATA hard drives have the features and capacities that are ideal for next-generation computers and low-end enterprise storage. Users benefit from a data transfer rate of 300 MB/s and an improved cabling that enables greater system design flexibility. Designers of enterprise storage systems and servers are increasingly using desktop-class, large-capacity SATA hard drives because of the advantages that the SATA interface provides.